Or suppose a woman has ten silver coins and loses one. 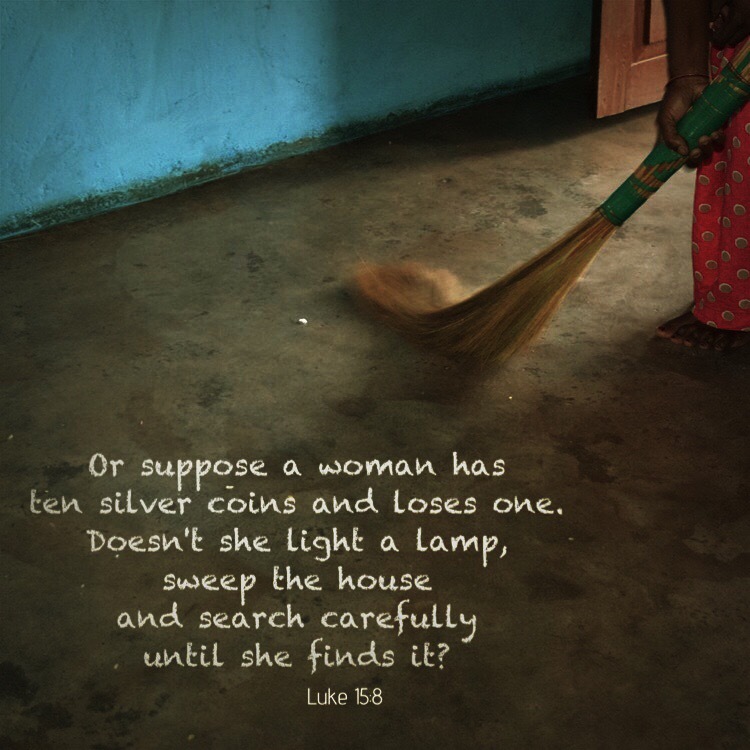 Doesn’t she light a lamp, sweep the house and search carefully until she finds it? And when she finds it, she calls her friends and neighbours together and says, “Rejoice with me; I have found my lost coin.” In the same way, I tell you, there is rejoicing in the presence of the angels of God over one sinner who repents. If you are a believer in Jesus Christ–someone who has repented of their sin and asked for forgiveness–there was rejoicing over you when you did that. Can you just imagine the rejoicing over you? Right there in Heaven? Like a lost coin—but so much more important than that—you were found!! This entry was posted in Bible verses on photos, faith, Inspirational photography and tagged forgiveness, salvation.